It's our favorite time of year: fall fashion season! Not only do we love the crisp, cool air, but we love the surge of new trends that surface in the fall, giving us a new lease on life, even if it pains our wallets a tad. 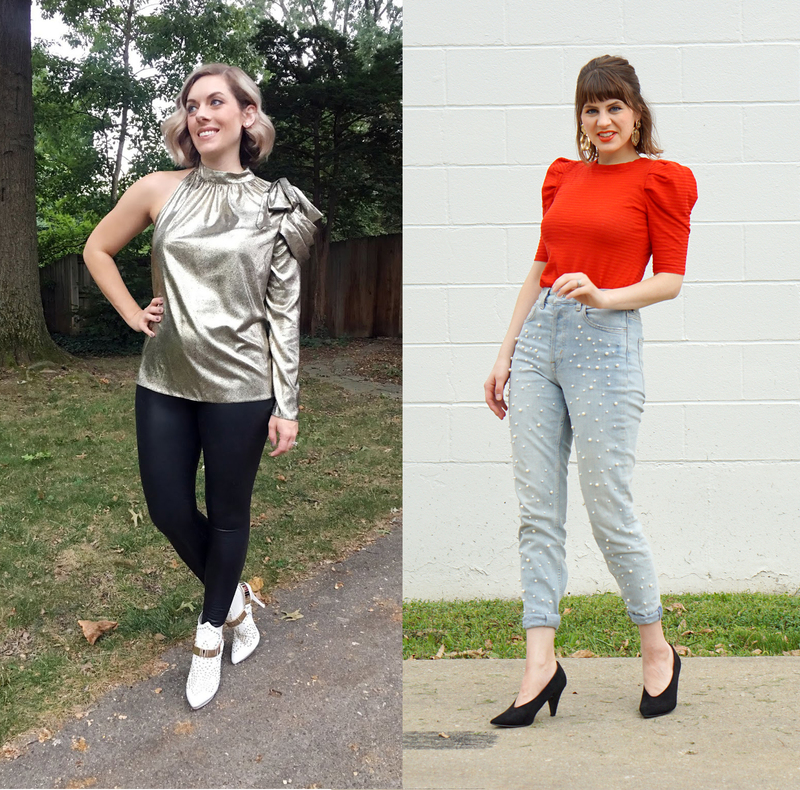 The past couple of seasons, sleeves have been getting bigger and bolder and '80s silhouettes have been creeping into everyday wear, and we're here to announce that's it's officially all in! From large sleeves to chunky geometric earrings, and track suits to acid wash, everything '80s is back except the big bangs. To show you how versatile the trend can be, we've styled a couple of different '80s-inspired looks below. 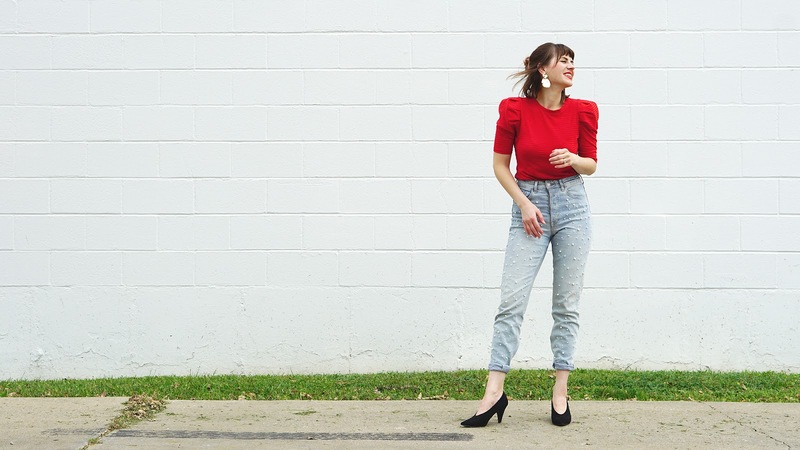 Oh, and be sure to see the roundup of the rest of our favorite fashion trends for the season here. I'm all about puffy sleeves! 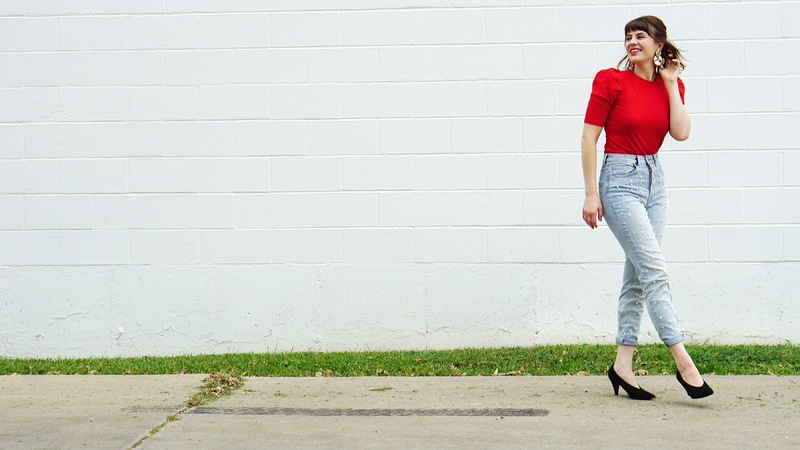 I feel like it really helps to slim down the rest of your silhouette because with a broad tippy-top, you only taper downwards from there. However, these are still a manageable size if you're making your first foray into the statement sleeve game. 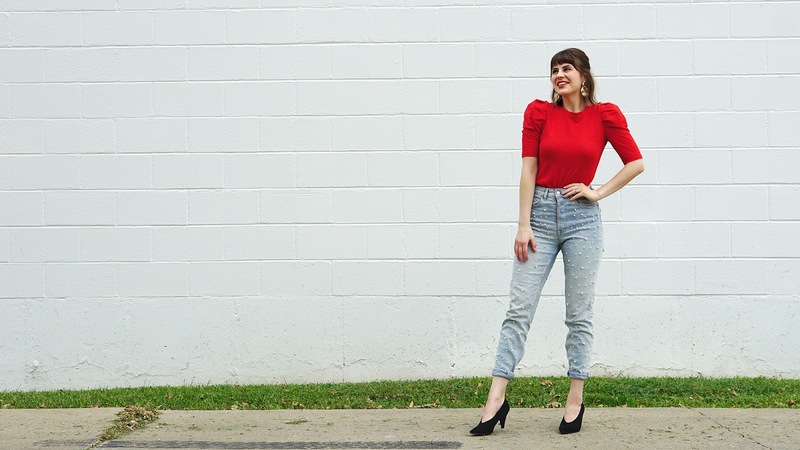 I obviously had to bring in my light wash mom jeans for an '80s occasion! These, paired with some '80s inspired pumps are truly a throwback combo. 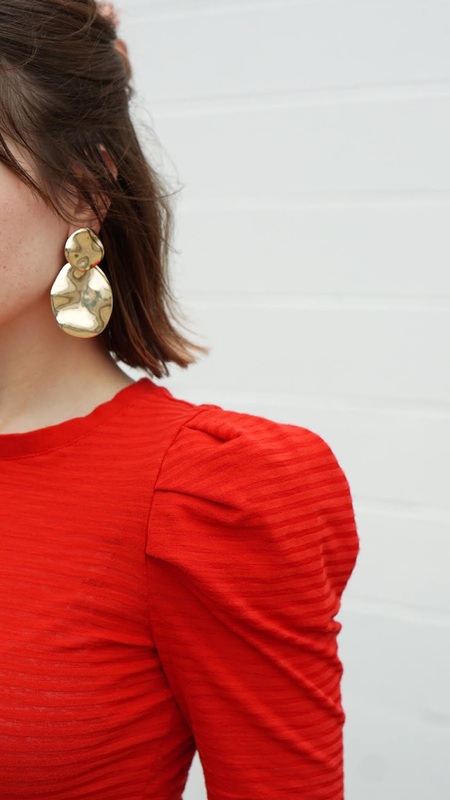 Finally, the item I cannot get enough of this season: '80s earrings! These big gold earrings are straight out of a different decade. I feel kind of '80s mom-chic, and I've already gotten tons of compliments on them! I have to admit, I started wearing some of these '80s trends kind of ironically or as a single statement piece, but I've gone fully in now. This little '80s baby was just destined for this trend to come back. 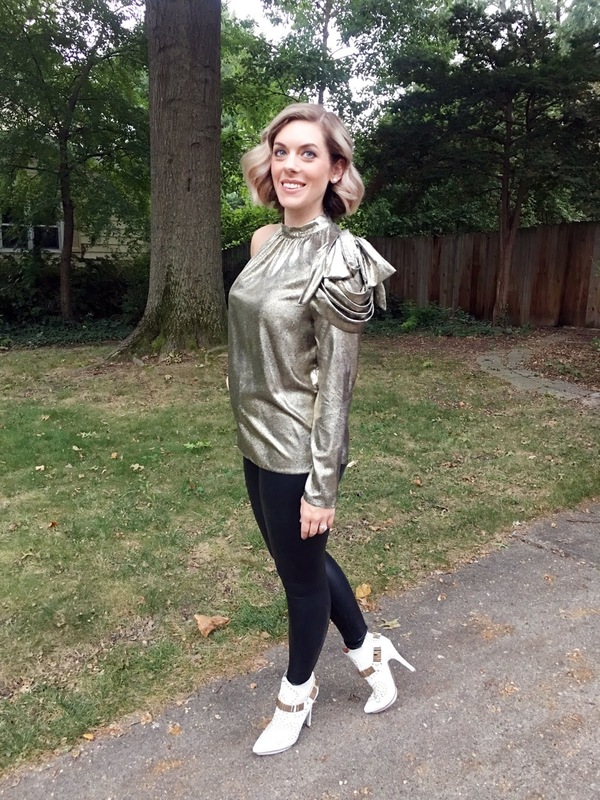 I am all about metallics this season, and this one shoulder top is the perfect blend of shine and 80's! 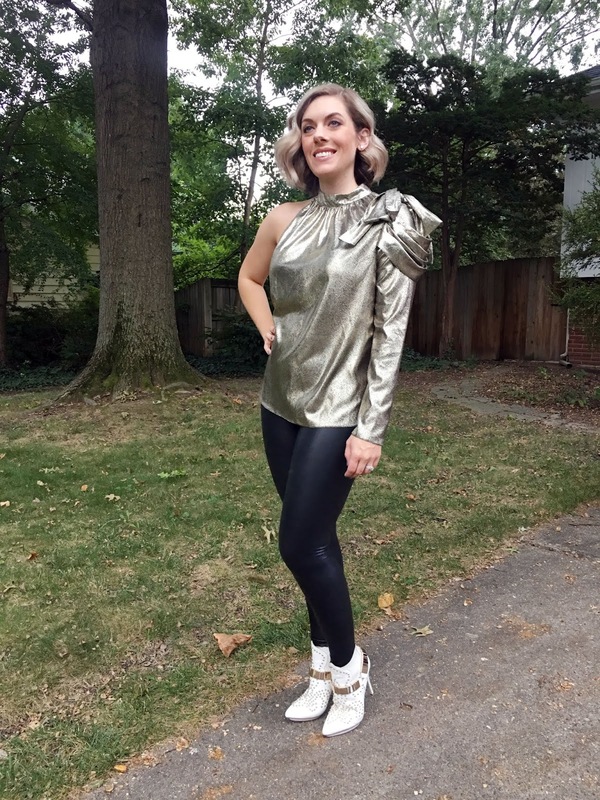 What better complement to a super 80's top than faux leather leggings and white studded cowboy boots (western wear also happens to be a huge trend this season!)? I like to bust out these booties any chance I get, which is surprisingly, not as often as you would think. Maybe I'm not trying hard enough? This top would also look fab with jeans or a sleek pencil skirt! 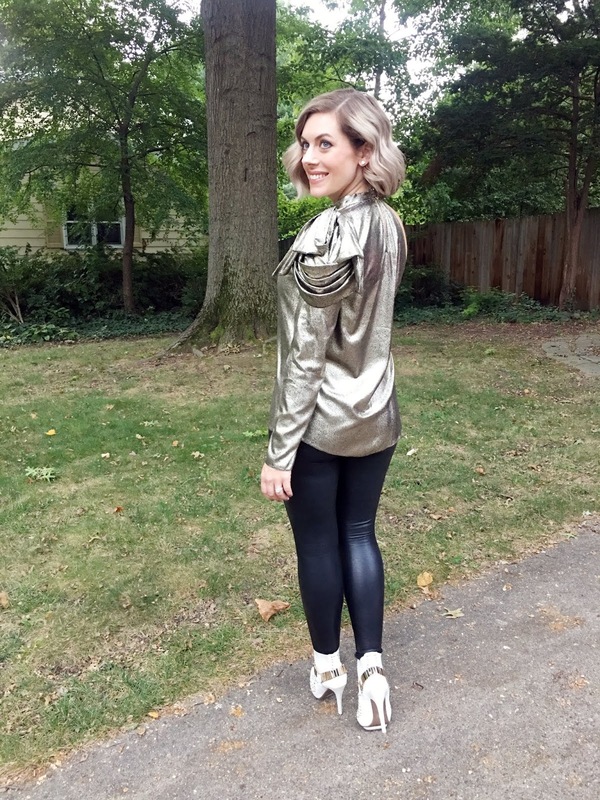 I can't wait to incorporate more 80's pieces into my fall wardrobe! You can totally ease into the '80s trend with only one piece, you definitely don't have to go all in! What do you think of the trend? Will you be rocking it or totally avoiding it? Let us know in the comments!